We are a leading provider of powerful yet highly effective and fun workplace wellbeing and stress relief activities and Training. A London based, UK wide official provider of Laughter Yoga, Therapeutic Laughter & Holistic Wellbeing Workshops for Employee Wellbeing, Team Building, Energisers, Ice Breakers and Events. Welcome to a less Stressed, Happier and Healthier You. We offer a range of holistic stress busting group wellness workshops, training courses, classes and services including Laughter Yoga, Mindfulness Meditation, Gong and Sound Meditation, Improvisation, Team Building and more for groups and businesses in London and throughout the UK. We work with various holistic and therapeutic tools. Our wellbeing workshops help relieve people from stress and generally enhance their health and wellbeing. All our holistic stress busting tools are offered as standalone workshops or we can create a well-being programme for your organisation which can include other services including Mindfulness Meditation, Massage and more. Our Laughter Yoga ( Laughing Yoga ) and wellness workshops are perfect for any organisation looking to improve their corporate employee health and general wellbeing. 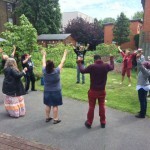 We offer our workshops and services to all types of groups, in fact any group can be perfectly bonded with Laughter Yoga which is an incredibly powerful team building tool. Laughter has no boundaries and has many Health Benefits. Please click through for a full list of our wellbeing services. Odette ( Lady Ha Ha #ladyhaha ) has been working with various complementary and holistic therapies to help individuals , groups and organisations for many years. Employee wellbeing is our work, our mission and our passion. We are on a mission to create happier and healthier workplaces and improve employee stress levels. Laughter is a massively powerful tool for this and has so many health and therapeutic benefits. Did you know “Happy employees are 12% more productive” New research suggests we work more effectively, creatively, and collaboratively when we’re happy at work. We also provide other holistic services from our team of carefully selected professional laughter leaders and other wellbeing professionals. This enables us to offer a UK wide fully comprehensive programme of Wellness Services individually tailored for our clients. As a professional well-being service provider, we hold insurance with Holistic Insurance Services, have up to date First Aid Certificate, are professionally trained and we hold qualifications and certificates for our services. 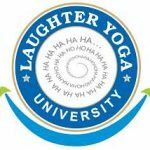 We also hold professional membership to Laughter Yoga International University, the professional organisation for laughter yoga professionals and World HQ of Laughter Yoga. This is the professional members organisation that we recommend to all our Laughter Yoga Leaders. Our team of holistic professionals are all tried and tested and meet the same criteria with certified training and professional insurance. To contact us for more information on how we can help your group or organisation, please click through to our Contact page. As a conscious business we like to give something back. This year we are supporting the St Mungo’s Wellbeing Day by donating several laughter workshops to this amazing cause. Laughing in the face of adversity is hugely powerful and we are helping to bring laughter and joy to people who have or are experiencing homelessness. It is pure joy to witness the stress lifting and happy faces at the end. Click for more info about this amazing charity. "Odette Thank you SO much for coming to the WBD yesterday and doing such a fantastic workshop. People were still saying how fantastic it was when they were leaving at 3pm. 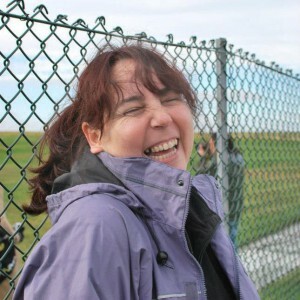 It really does makes such a difference to those that took part: and I’m sure the energy radiated to those that didn’t"